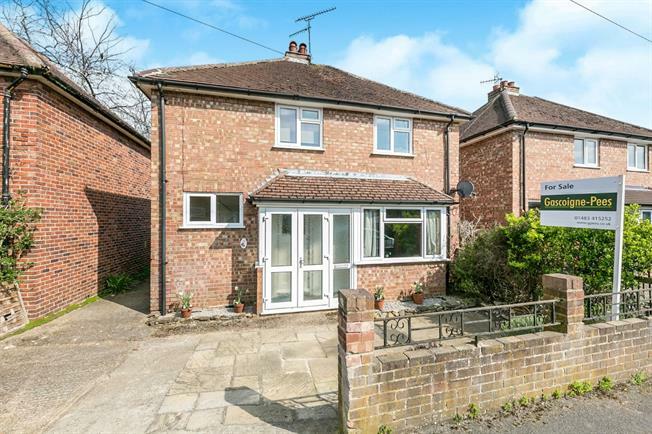 3 Bedroom Detached House For Sale in Godalming for Asking Price £475,000. This property's price has dropped from £495,000 to Asking Price £475,000. This three bedroom detached house is offered to the market with no onward chain. There is planning permission (WA/2017/0126) to erect a two storey extension. It is located with walking distance of Farncombe Station. The accommodation comprises a reception room, kitchen, downstairs bathroom and conservatory on the ground floor and two double bedrooms, master with en-suite, and further single on the first floor. The rear garden is mainly laid to lawn and there is off street parking at the front.